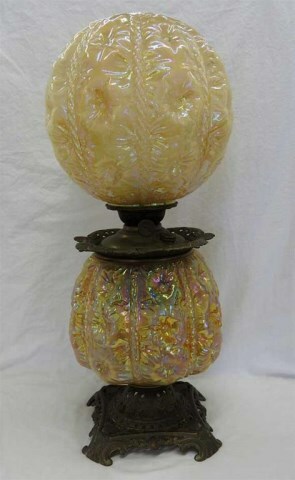 Like the Regal Iris and Roses and Ruffles, this is a Gone With the Wind style lamp, characterized by the two large globes. The bottom portion holds the kerosene, the top covers the shade. 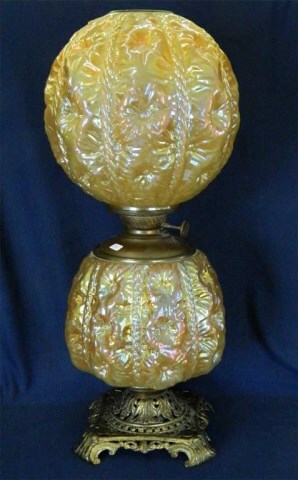 These are large lamps and are found in marigold. Not many have sold. This one was presented for sale at a 1999 auction with a reserve (it also had a small “Y” shaped crack) of $3,250. It did not make the reserve. 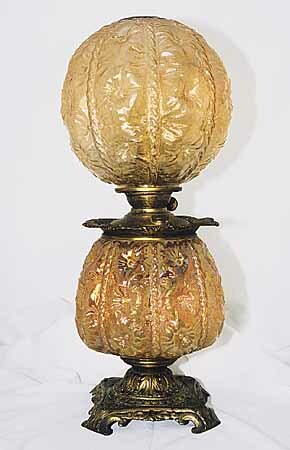 One with a spider crack in the top, sold for $1,600 in 2000. 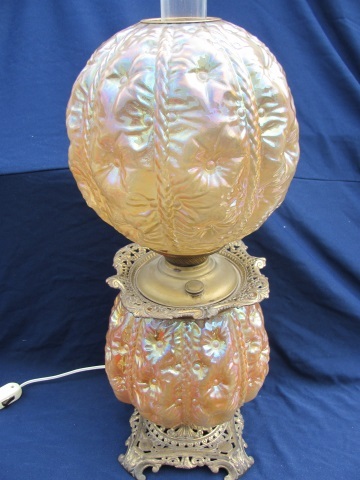 Another, apparently without damage, sold in 2014 for $1,700. It had been converted to electric. 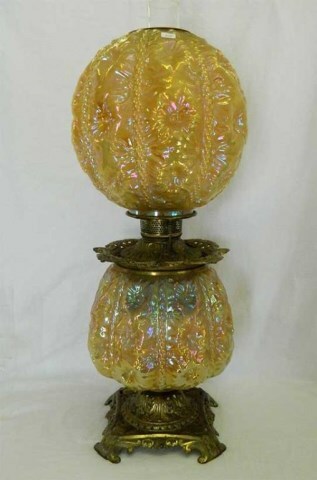 One with a quarter-sized burst in the shade sold in 2015 for $550.